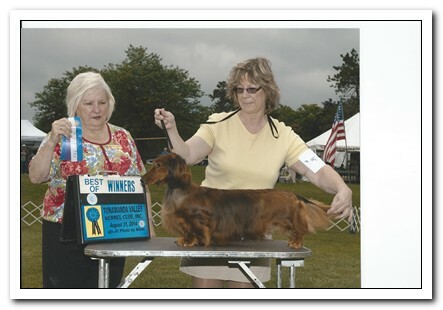 CH Telkel Vision of Love SL earned a four point major at the Henrietta, NY show for her Championship. 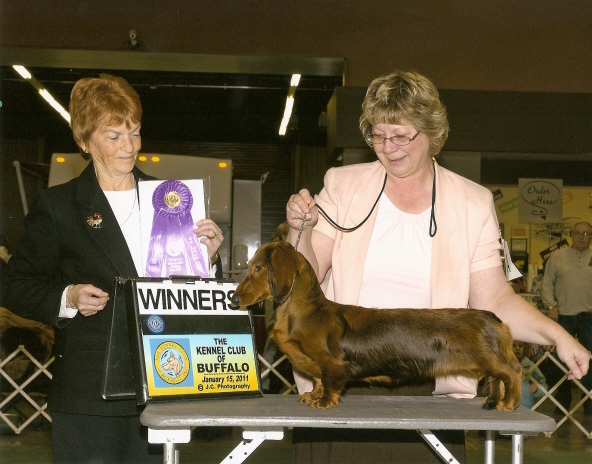 Telkel Vision of Love SL won a Group One at the Dunkirk show in June 2017. 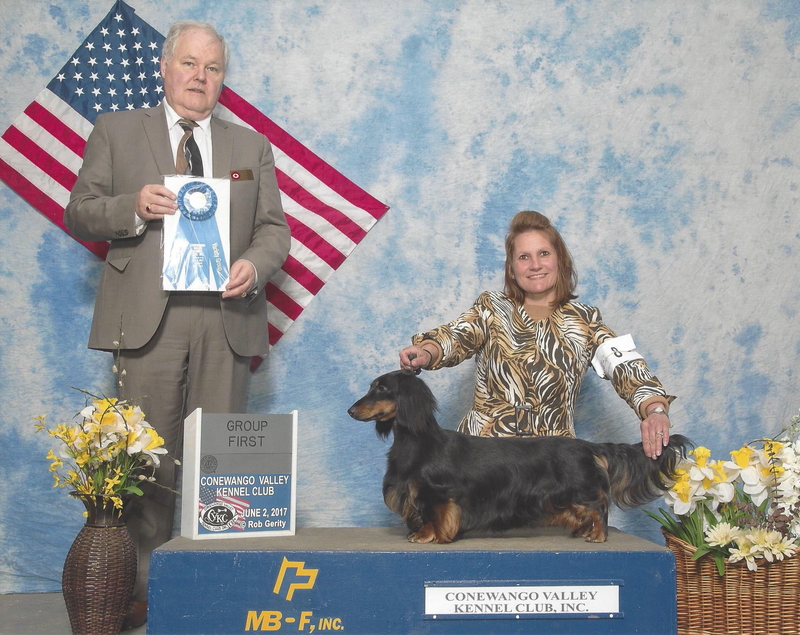 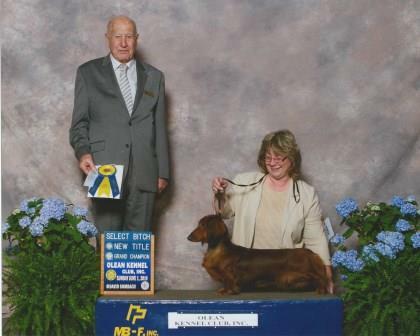 CH Beldachs’ Vivacious Valadon V Dachsadore SL earned a 5 point major at the Wine Country Specialty Show on September 26, 2015 earning her Grand Championship title. 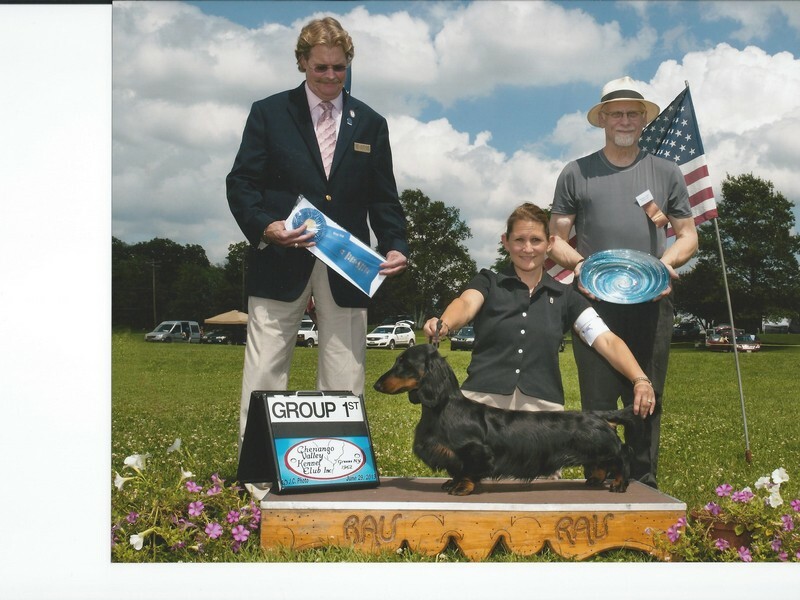 Beldachs’ Vivacious Valadon V Dachsadore SL went WB, BOW, and BOS over Specials at the Metropolitan Dachshund show in Stephenson, VA on Sunday, October 5, 2014 for a five point major. 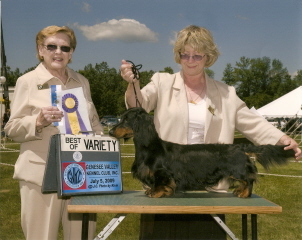 GCH Dachsadore Star Shadow’s Dancer SL won her Championship in York, PA on March 14, 2014, and on June 1, 2014, she earned her Grand Championship at the Dunkirk, NY show. 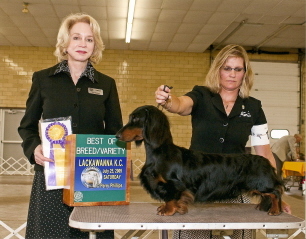 GCH Hundeleben Naughty Boy SL (Sambuca) earned his AKC Championship on August 7, 2009 at Harrisburg, PA and his Grand Championship in Alexander, NY. 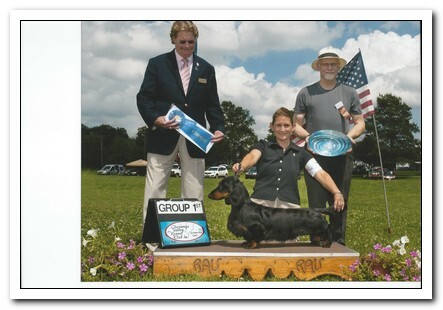 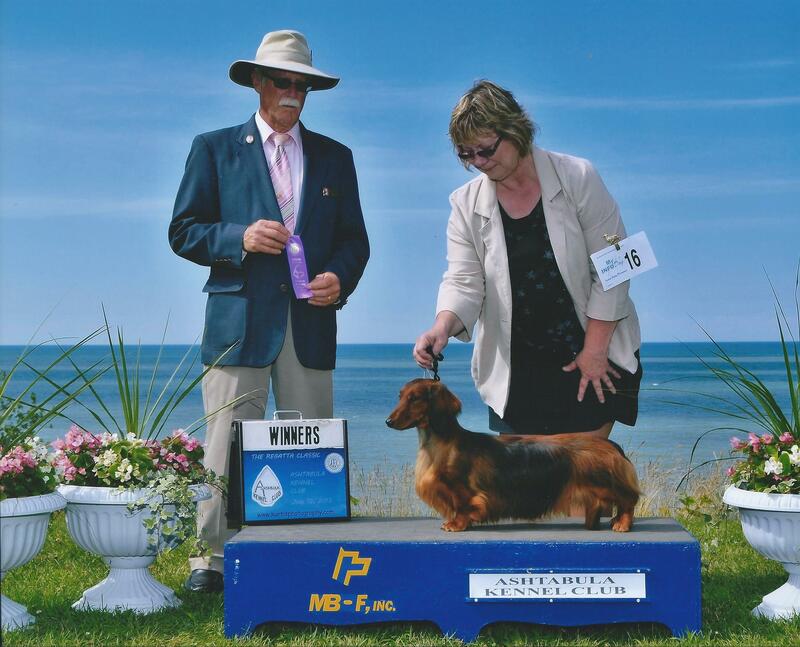 CH Dachsadore Im Angelrose Tish L earned her AKC Championship on July 28, 2011 at Bloomsburg, PA.